Banner redesign? We can do that. Comments Off on Banner redesign? We can do that. 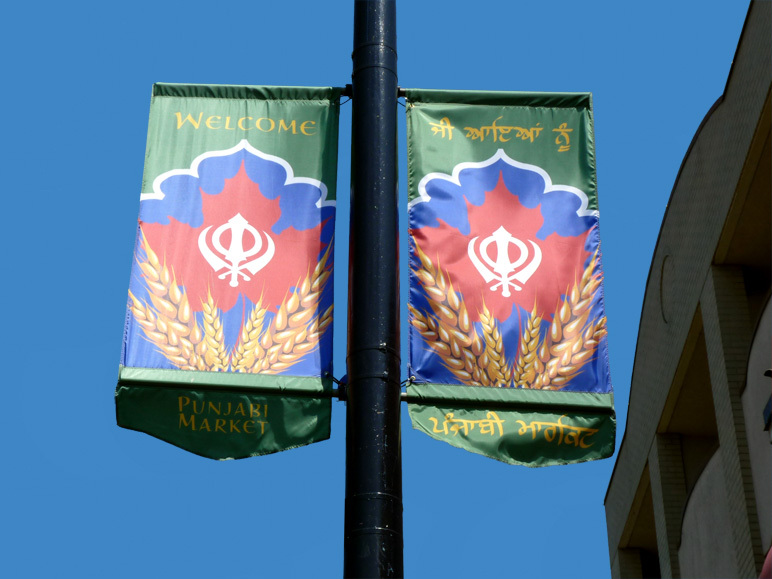 When the Punjabi Market on Main Street wanted new street banners to replace some of their aging ones, there was a bit of a kerfuffle with getting the original artwork from 2003. Our marketing manager/designer/all around wunderkind, Crystal, was given the task of ensuring that the new art had all the same elements as the old art but modernized to take advantage of being digitally printed instead of screenprinted like the originals. 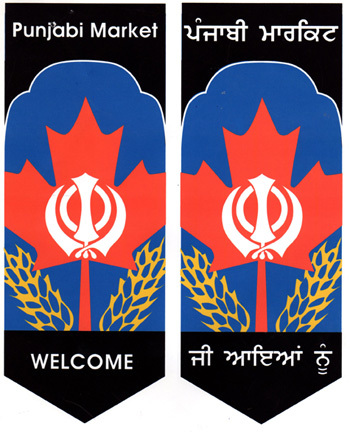 As you can see, the original design was less intricate while the new design is more vibrant and detailed. Also, she did this in about 90 minutes in case you were wondering about the sheer amount of talent we have on board here.